Dance Mogul: What inspires you to start dancing? 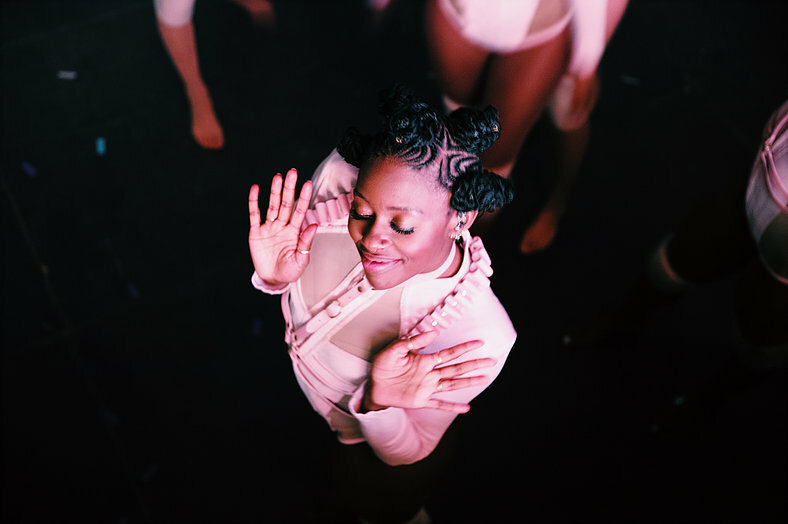 Tajana W: That is a great question, I’m not too sure what sparked it in me initially but I know I loved music, and when I heard a song that I connected to my body would respond through movement. Dance Mogul: What kind of training did you endure where you’re from to develop your skills? Tajana W: I danced from a young age, possibly around the age of 6 or 7. This was certainly just another hobby at the time, as I was heavily involved in sports and acting and many other things. But when I became aware of my dance potential, I decided to audition for The Brit School, the UK’s most prestigious Performing Arts School. Artists such as Jessie J, Adele, and Amy Winehouse trained at this school, and from there I did a 3-year degree course in Dance and Theatre Performance at Doreen Bird. Those 3 years were pretty intense, we had 11 hour days and trained every day mainly in ballet and contemporary. It was for sure though, but I think its the best way to train any aspiring professional dancer because the industry has the ability to chew you up and spit you right back out! Dance Mogul: What made you move to LA? Tajana W: I initially came to LA just for a holiday, I wanted to take dance classes from all the teachers I had seen on youtube, hike, eat well and be in the sun for two months haha. However, on the trip, I was selected to dance at Carnival an annual dance showcase and met some agents from Bloc who had told me if I wanted to move to LA they would represent me. In addition to that, I wasn’t too moved by the artists I was dancing in London. In LA I had the opportunity to travel the world with Rihanna or Beyonce which were huge dreams for me at the time. So that’s when I thought if I’m going to really commit to being a professional dancer I may as well do it as well as I can. Literally 4 months after that trip I had a visa and was working in the US. Dance Mogul: Was your family supportive of your decision? Tajana W: My mother and brother were HUGELY supportive. Would come to every show, watch every TV performance. I was never nervous to tell her that I wanted to pursue dance as a full-time career. She did everything she could to support me and make it happen. I love her so so much for that, and truly don’t take that for granted as I know that isn’t everyone’s experience. Dance Mogul: How did the transition go, what were some of your hardships adjusting to everything? Tajana W: The transition was tough, but more so in regards to my normal life. In London, I danced but I still had a healthy personal life. I would spend time with my “non-dance” friends, jump on the train have lunch in the city, take a dance class and catch a movie with my mum in the evening. I found it hard moving to Hollywood for dance and dance being my everything. I had auditions almost every day, and as I was new to the city I had to make sure all the choreographers knew who I was, so I would go to every dance event, every masterclass, every dance class to ensure I was seen and I was getting my face out there. I know now after being here for 5 years that balance is key. It’s healthier for me to have other things going on. I gradually found other things to help me adjust. I took pilates and taught dance fitness classes, which was nice as it introduced me to more people and I was traveling outside of Hollywood. It definitely took me a while to find that but I did. Dance Mogul: What was your big break? Tajana W: Funny because I almost had two big breaks my first in London, once I booked Iggy Azalea’s Tour I guess the exposure lead to me getting direct booked for gigs right after. However, once I moved to LA I had to start from the ground up, and honestly, I was nobody when I walked into the audition room for Beyonce. I didn’t have a name, and I didn’t know the choreographers, but I was really confident in my talents and walked into that audition room with the mentality that I HAVE TO GET THIS JOB. And of course after touring with Beyonce that gave me a lot of exposure and now I’m in a position where I can be selective about the jobs I take. I’m extremely grateful. Dance Mogul: What has it been like touring for the top music artist in the world? Tajana W: It was honestly a dream come true. 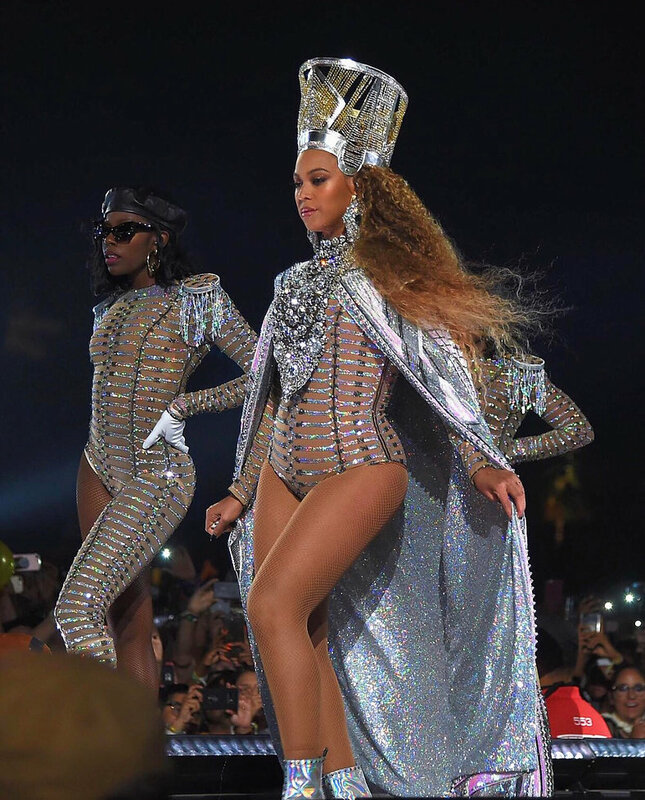 When I was dancing for Iggy Azalea we were the opening act for Beyonce’s Ms. Carter Tour, and I would watch all the girls every night and tell myself I need to do that, I need to dance with Beyonce. I will always remember our opening night in Tampa Florida. We had been rehearsing for about 3 weeks in the stadium we were opening in, but of course, it was to empty seats, so that first night to hear the roar of the crowd and see all those people in the audience dancing and singing ugh, yeah it was pretty magical. Rehearsals were tough but the performances made it all worth it. Especially as we were performing to Stadium crowds, not arenas, the energy was absolutely insane. Dance Mogul: 2019 has been good to you already what are you currently manifesting and looking forward to this year? Tajana W: Yes already it has already been great, I was awarded Most Influential Member by a creative members club, which was pretty exciting. 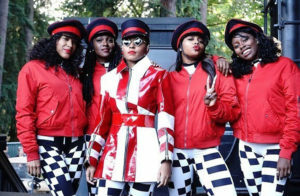 Janelle Monae’s PYNK music video that I was a part of was nominated for a Grammy under the category ‘Best Music Video’ and of course, just performing at the Grammy’s was great also. Big performances like that are always so nerve-racking yet exciting. This year I certainly want to invest in more Movement Direction, I really enjoy using my skills behind the camera, or just on the creative side. It makes me feel pretty special to know that more and more people are directly asking for me to movement direct. I’m also going to be teaching a lot more, I’m holding my own masterclasses and appearing on a few industry panel discussions in March. I’m really looking forward to seeing my career evolve, and how I can put my energy to both directing and giving back/ educating other aspiring professionals. Tajana W: More than anything believe in yourself. If you don’t, nobody else is going to do the work for you. To also be smart and take every opportunity as an opportunity to learn something new. To not feel guilty when you want to do other things away from dance as it will add to your spirit and being as a dancer, and lastly in the back of your mind have a few ideas of things that you would want to transition into, obviously our bodies don’t move as well when we’re 50! It’s something we should all think about sooner rather than later. Dance Mogul: What advice do you have to empower women looking to make their mark in the industry? Tajana W: I certainly would love to thank the majority of dance teachers I had whilst training. Especially my ballet teacher Jodie Clark, but most of all I wouldn’t have even been at dance school if it wasn’t for my mother, who has always gone above and beyond for me and taught me to believe in myself and truly know that I can be anything I want to be. The values she has inculcated in me are invaluable. She is my biggest inspiration, I pray I’ll be able to give to my children the way she has given to my brother and I.